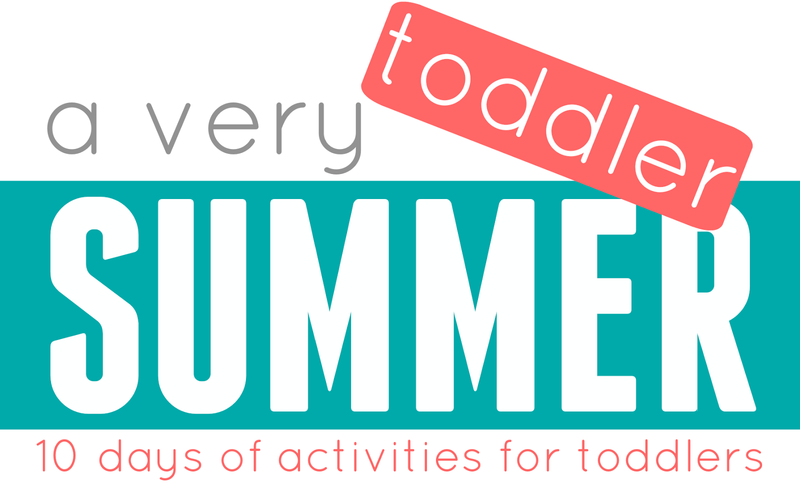 Our "A Very Toddler Summer" series has been so fun to share with you!! To wrap up our series today Jenae at I Can Teach My Child is sharing 18 Sensory Tubs for Toddlers! One of my toddler's favorite things to do during the summer is EAT so I thought today I'd share 10 fun toddler friendly snack ideas that we've tried (or want to try this summer). Where I live in California it gets HOT during the summer so we like to keep snacks and meals pretty cold. Other than the muffin tin omelets all of the cooking/assembling activities I am sharing today are cold. 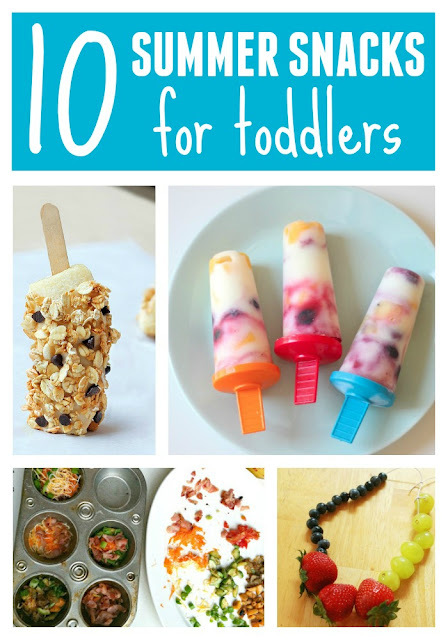 Toddlers love food that is fun to eat and looks cool. My toddler especially loves anything on a stick! As you scroll through the list of snacks below, click on each link and you'll be led to the full tutorial. Here are 10 fun summer snacks for toddlers that are fun to assemble together! 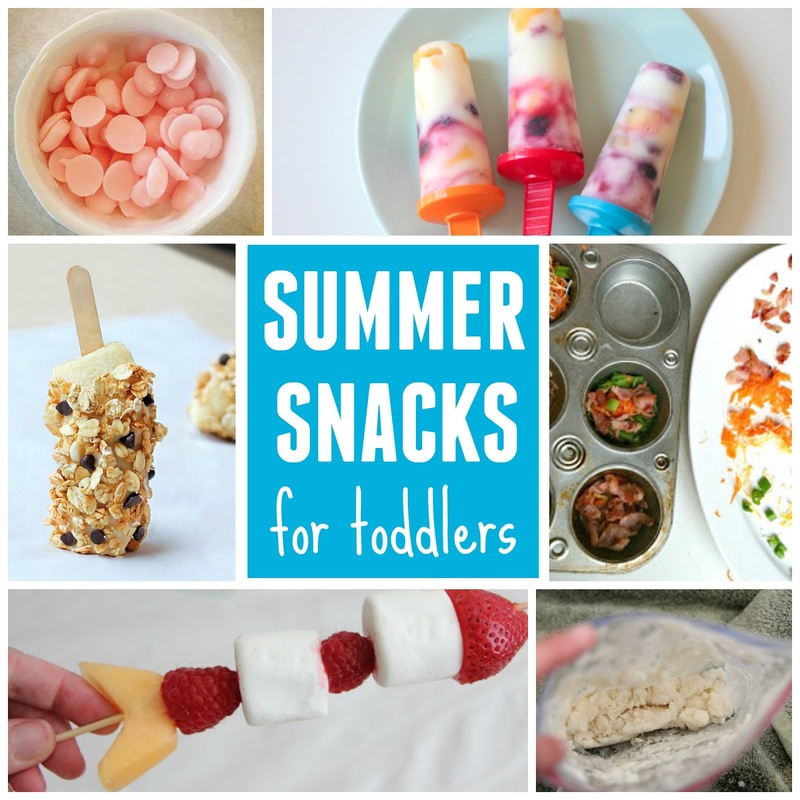 Do you have any favorite summer snacks that your toddler loves? Please share so we can all try it out too!! Don't forget to check out all of our "A Very Toddler Summer" series activities that have been shared so far HERE, including Jenae's 18 Sensory Tubs for Toddlers. This is such an awesome round up! Loving those banana pops...so yummy!